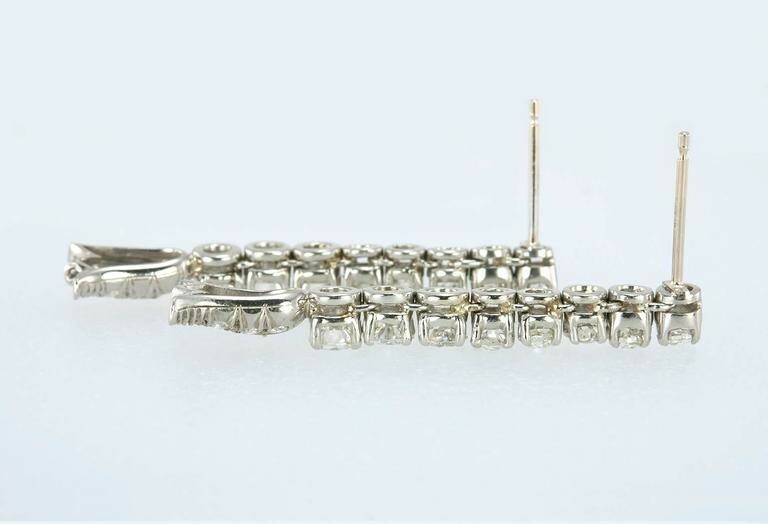 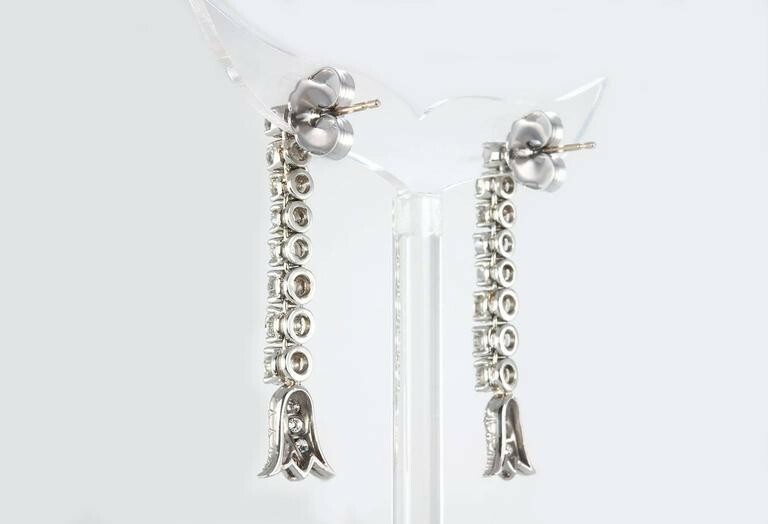 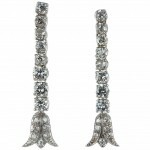 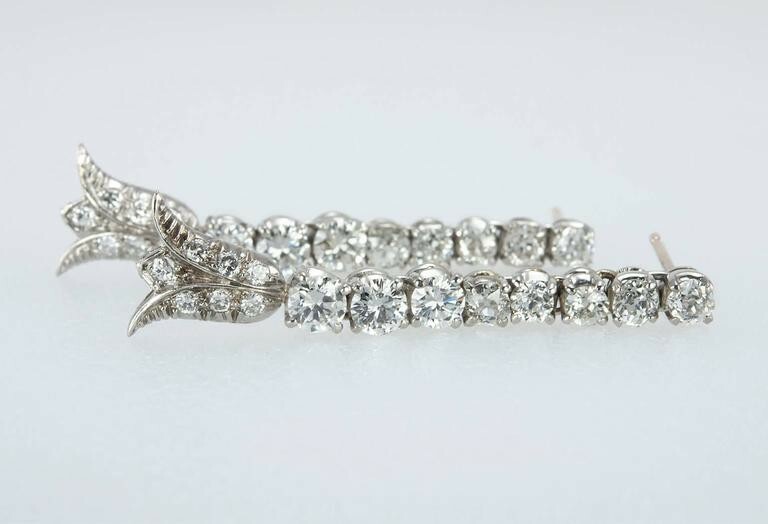 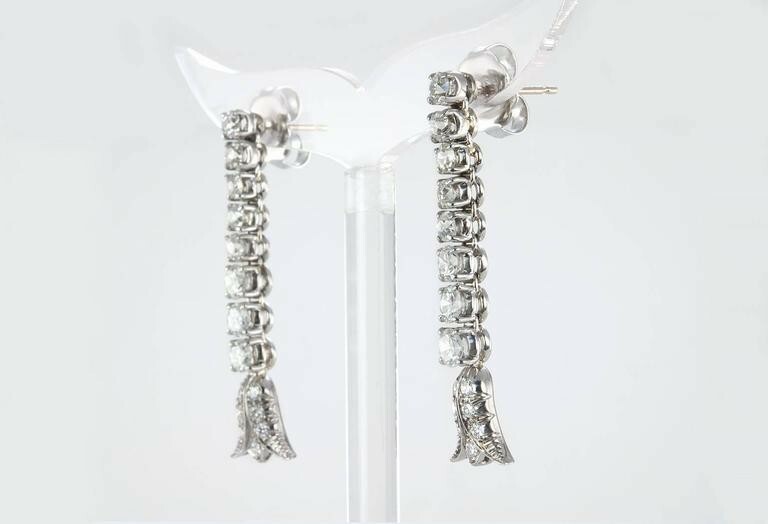 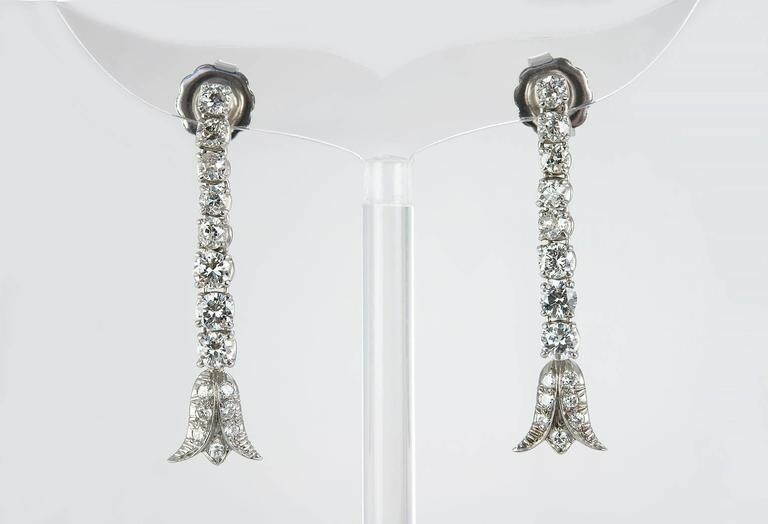 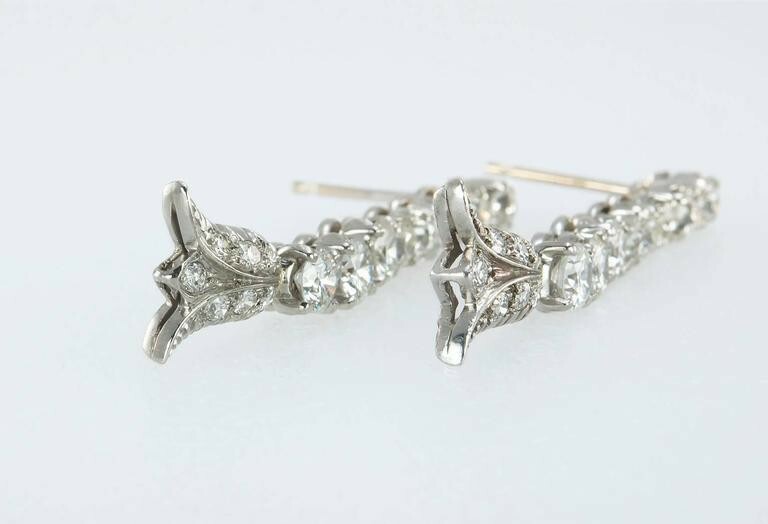 Beautiful Art Deco diamond dangle earrings set in platinum from circa 1930. 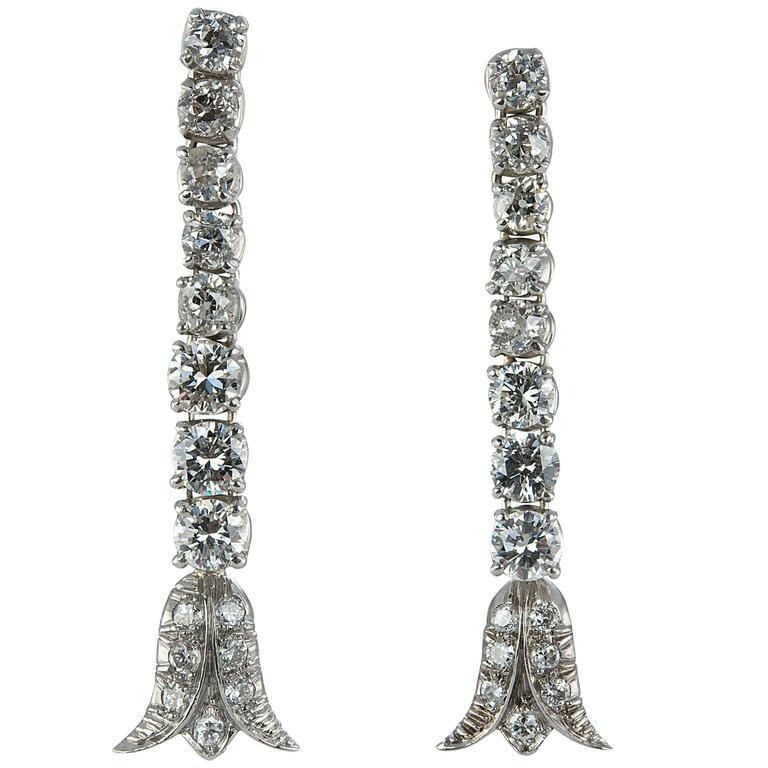 The earrings feature 30 Old European Cut diamonds that are H-I in color and VS-SI in clarity and total approximately 3.80 carats in total diamond weight. 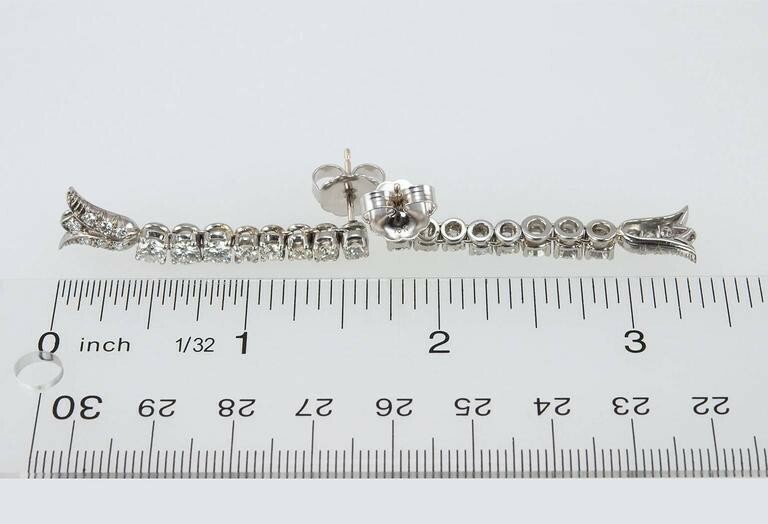 The earrings measure approximately 1.67 inches in length, 0.42 inches, and 0.18 inches in depth.